I guess cutlets are always a fancy food to indulge in. Unlike vegetarian cutlet, we do not deep fry it with lots of oil. We just about use oil enough for the patties to immerse and get nicely coated. 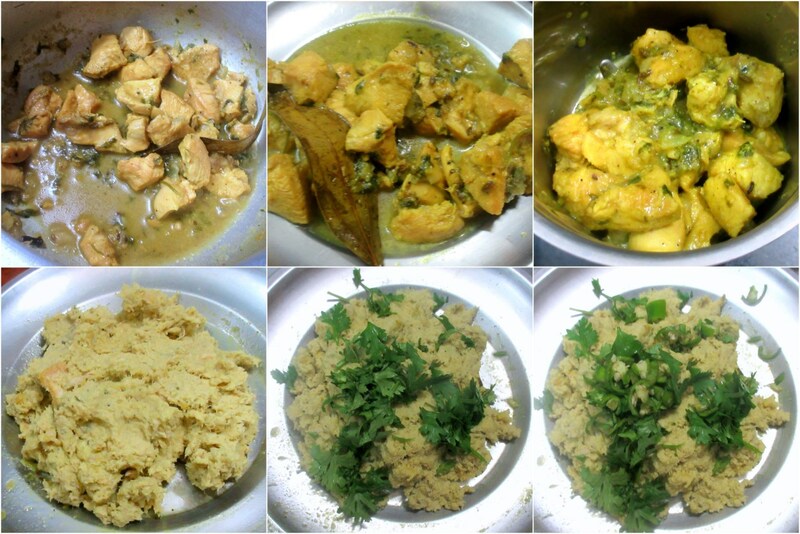 This is yet another recipe from Amma, who got inspired from a TV show. I am not sure if anything is changed in the recipe, which on its own quite a simple one. 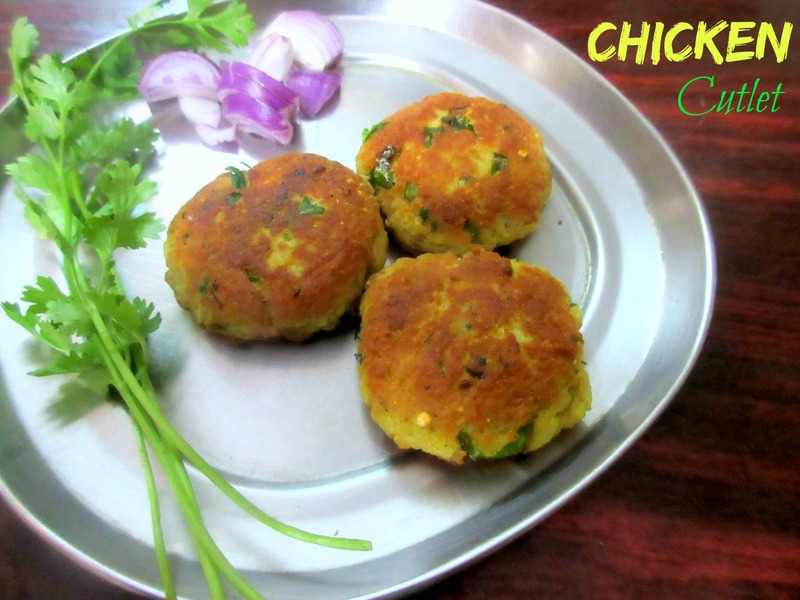 If your kids are fond of chicken starters, this is a must. Wash and dice the chicken into smaller pieces. Heat a pressure cooker with oil. Saute the spices and then add chopped onions, 2 chilies, handful of coriander leaves along with salt and turmeric powder. Add 1/2 cup water and pressure cook for a whistle. Once the pressure falls down, remove the bay leaf and let it cool down. Grind it well without adding water to a fine paste. Now add egg, rest of the green chilies finely chopped and coriander leaves. Mix well. Add fried gram powder and make it to a thick paste. 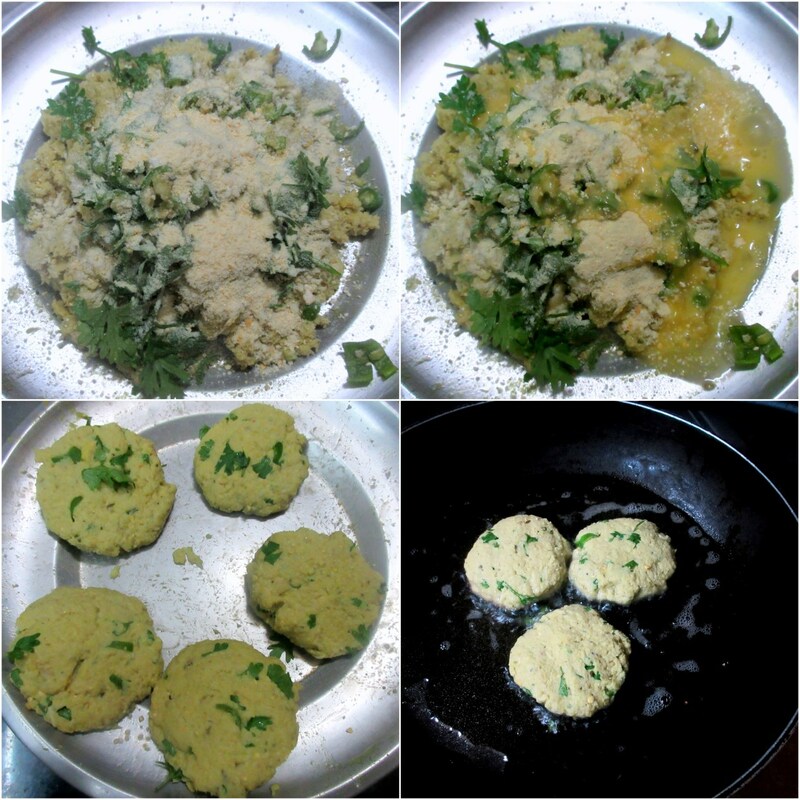 Divide into equal balls, flatten into discs of 2 to 3 ince diameter cutlets. Heat a non stick pan and cook this in enough oil on both sides. Drain to a kitchen towel and serve hot. This goes for the April Week 1, Cooking from Cookbook Challenge Group. 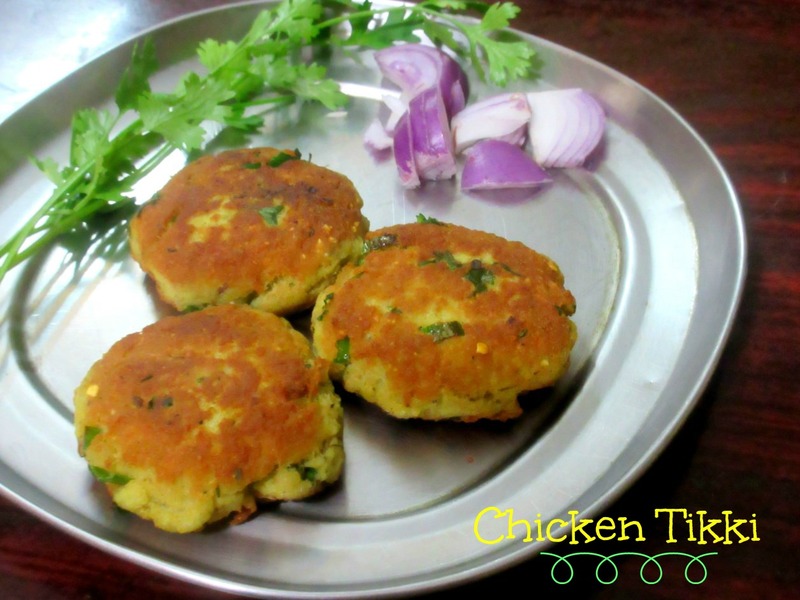 Surely a party pleaser cutlets recipe for chicken lovers. Those cutlets sure look like they will be a hot with kids and adults alike. Thanks for sharing this wonderful recipe for Starters. I tried this recipe for my house party and everyone loved it.I got fresh chicken from Licious and it was easy to cook . Because of the freshness it mixed up well with spices .